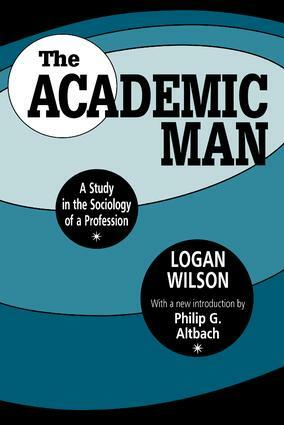 When it was originally published, The Academic Man was the first full-scale social science-based study on the American academic profession. The issues identified by Logan Wilson in 1942 remain central to any consideration of the American professoriate. Wilson demonstrates the usefulness of a historical perspective in understanding the present, as well as the considerable continuity in higher education. His acute observations remain a critical base for contemporary studies of higher education. The Academic Man explores three mam aspects of higher education: the academic hierarchy, academic status, and academic processes and functions. He discusses the difficulty college graduates have in finding jobs, a problem still prevalent today. He also examines the small number of publications produced by graduates with Ph.Ds, showing that only a few account for the greatest percentage of publications, as well as the ratio of teaching activities to non-teaching activities performed by faculty members. In his new introduction, Philip G. Altbach discusses the changes that have occurred in the college community during the past half-century, including the expansion of universities and the increasing diversity of students and faculty hi terms of gender, ethnicity, and religious background. At the same tune, he shows how Wilson's basic tenets continue to hold true for contemporary academic life. The timelessness of The Academic Man will make it a valuable resource for students, professors, university administrators, and sociologists.